Big poster advertising with light LED's and posters. A bright spot on any highway, day or night. Model features working head and tail lights, powered by miniature bulbs. 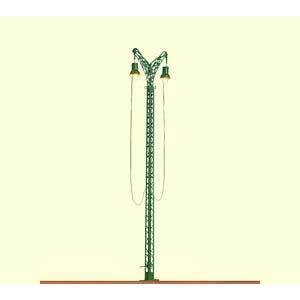 Prototypical brass mast with patented base socket for easy mounting. For indirect lighting of all kind of roofs. Two floodlights on a lattice mast. Equipped with white, power-saving and nearly unlimited life LED. Maintenance free by LED lighting. mounting on funfair models or as stage projector. 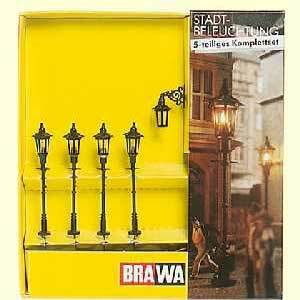 For lighting facades of buildings, monuments, advertising signs, for installation in models at fairs or as stage lighting. Height: 29 mm, 10 mm and 12 mm.